It’s a big golf Sunday with the US Masters drawing to a conclusion, so now is a good time to cast our minds forward to when some of the Molineux favourites will be pacing the fairways this summer. Steve Daley has today informed us that the main date on the calendar is Friday, September 6 – the day of the Wolves Former Players Association’s annual tournament. Like 2018, the event is at Oxley Park, which has once again become the regular host following a few years across the city at The Wergs. The Ryder Cup was being played in Paris at the time of last September’s competition and a bumper turn-out of Wolves personnel, combined with glorious weather, helped to make it a big success. subsequently donated to local charities. Geoff Palmer and friends appropriately attired for the 2018 tournament. Picture by Dave Bagnall. Fingers crossed that it’s a similar story when the players tee off again in four and a half months’ time. Wolves Heroes will plan to be in attendance, as we will at any other events that have the lads reaching for their clubs this year. 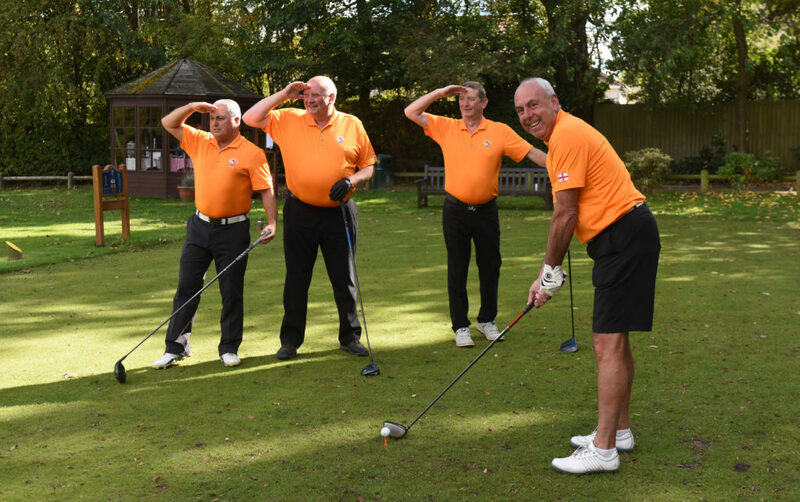 For many years now, the same group of heroes – most of them part of the Bill McGarry and Sammy Chung sides in the 1970s – have also spent a September Sunday playing alongside the members at the Wrottesley Park par-three course near Codsall. Alex Stepney, snooker star Willie Thorne and cricketer Geoff Miller are among the outsiders who have graced the WFPA tournament in the recent past. And, on that note, it’s back to see whether Tiger Woods is about to claim another Augusta green jacket…..
Posted on: Sunday, April 14th, 2019.